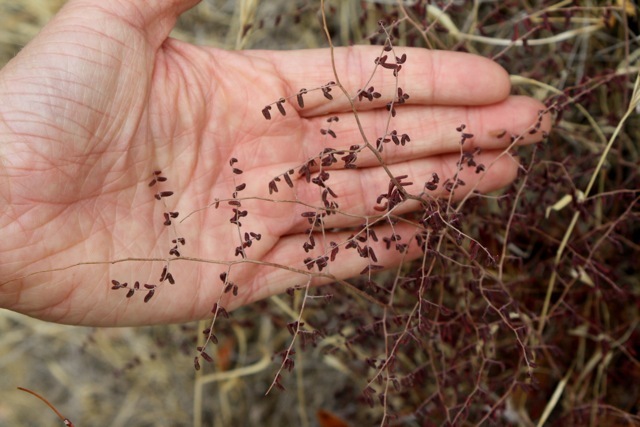 A brown scrap of leaves clings to a rocky cliff, strung together on threadlike stems. Though this little fern looks thoroughly dead in the last gasp of autumn heat it’s actually still alive. The green leaves of this perennial fern turn brown in late summer, giving coffee fern or coffee cliffbrake (Pellaea andromedifolia) its common name. You can tell this fern from the similar-looking birdfoot cliffbrake because it has rounded leaves, rather than leaves that come to a point. 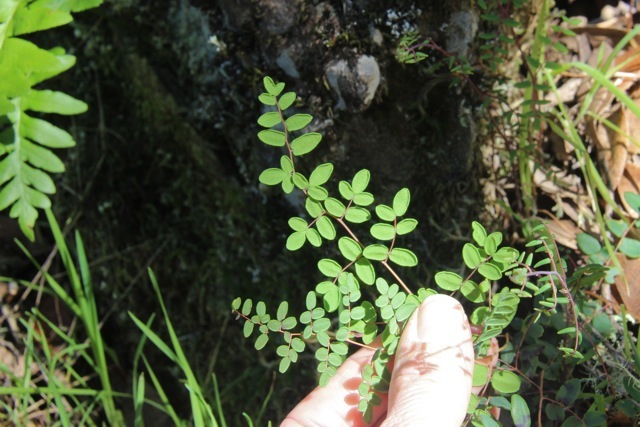 When the leaves are not dried out, you can see that each leaflet rolls under at the edges (shown in the photo, below).